Quinceañera business? Yeah, it's the Scene cover story. Nashville Scene, July 23, 2015. Photo by Angelina Castillo. The name of U.S. President Jimmy Carter standing in a tiny corner, the July 23, 2015 Nashville Scene cover (you've probably already seen it) features a full-size photo of 15-year-old twins Stephanie and Melanie Angel, smiling and raising glasses in the middle of their quinceañera birthday party, wearing matching aquamarine-colored dresses that their mother picked out for them. The debutante party market is booming in Hispanic Nashville, according to the feature with the straightforward title, Quinceañera! "I tell my daughters that this will be something beautiful. Apart from your 15th birthday, the family you've never met will be reunited," Enrique says. He says many relatives are coming just to see long-lost family. The business reporting is interspersed with a narrative window into the fraternal twins' dance prep, party theme compromises, and the chants of jubilant attendees cheering on friends and family. Read the full story here, illustrated by Scene photographer Angelina Castillo. Nashville quinceañeras used to be featured on the cover of HispanicNashville.com and are still featured in the pages of HolaTN. 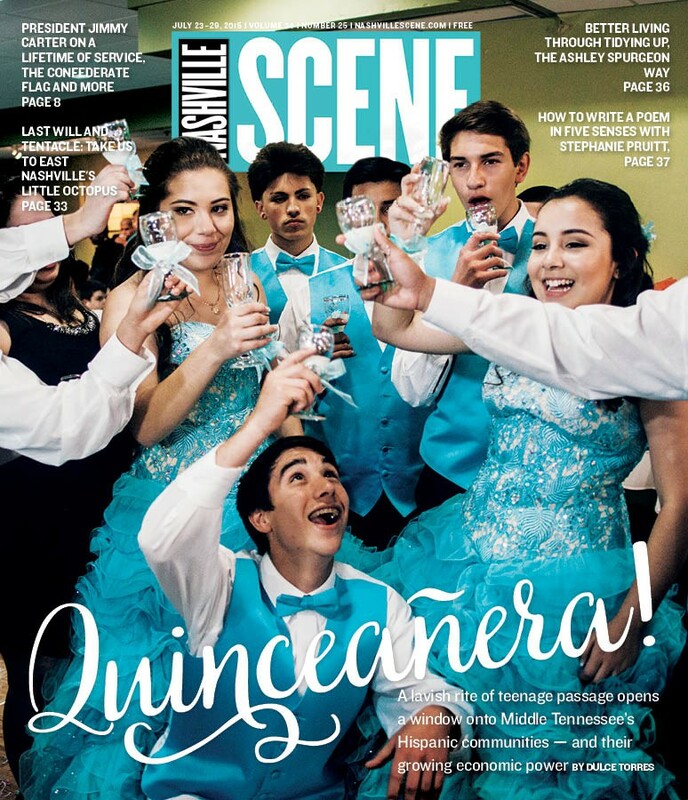 But a quinceañera cover story on the Nashville Scene - now that's the sign of a city growing up. Party, anyone?